Hi everyone! I'll be back this evening with a card that I made, but I wanted to take a minute to post about Stampin' Up's! current promotion- Reason to Smile. From now until July 31st you will have the opportunity to purchase an exclusive stamp set, available only through this special offer! 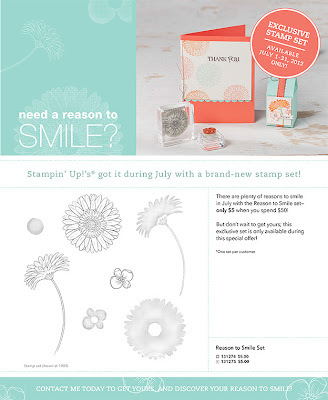 Get the Reason to Smile Set-up to a $20.95 value-for just $5 when you spend $50 on any Stampin' Up! products. 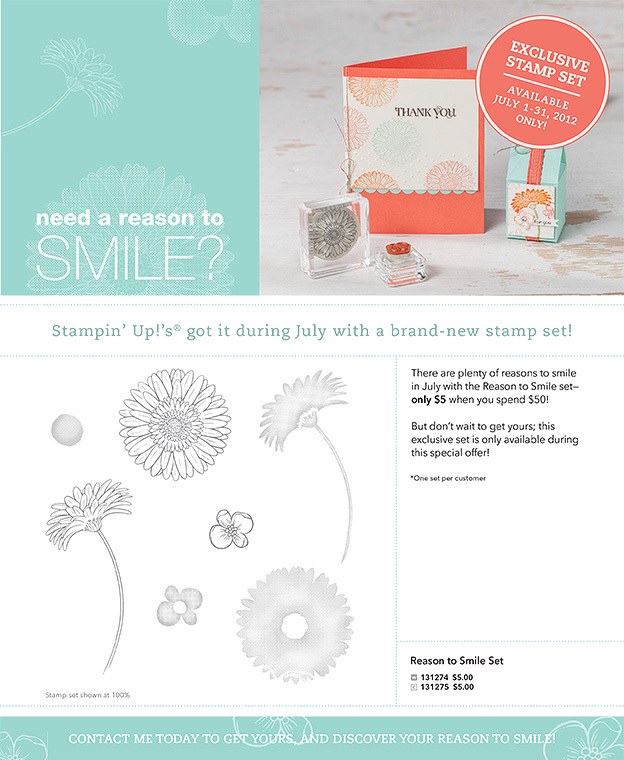 You will find more details on my Stampin' Up! website under the promotions tab or simply click here.